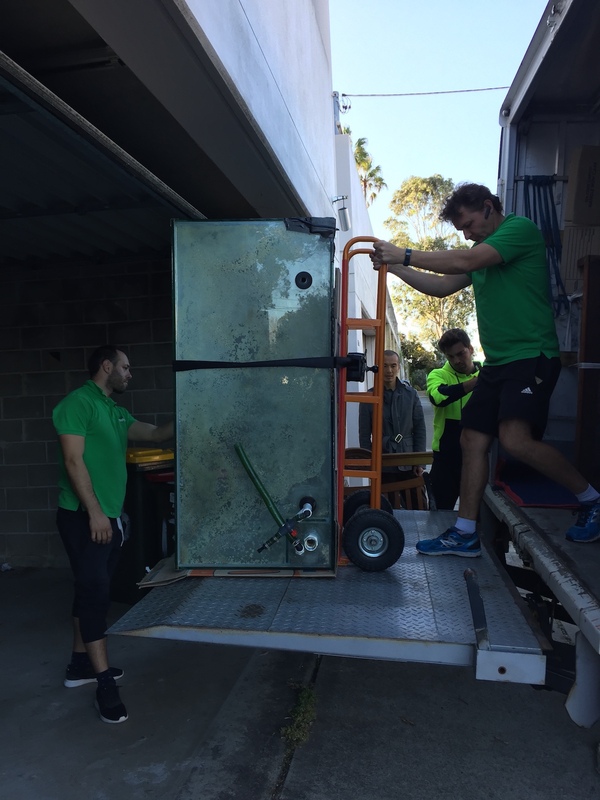 Today the Clark Removals team collected and moved a fish tank from Coogee to West Pymble. 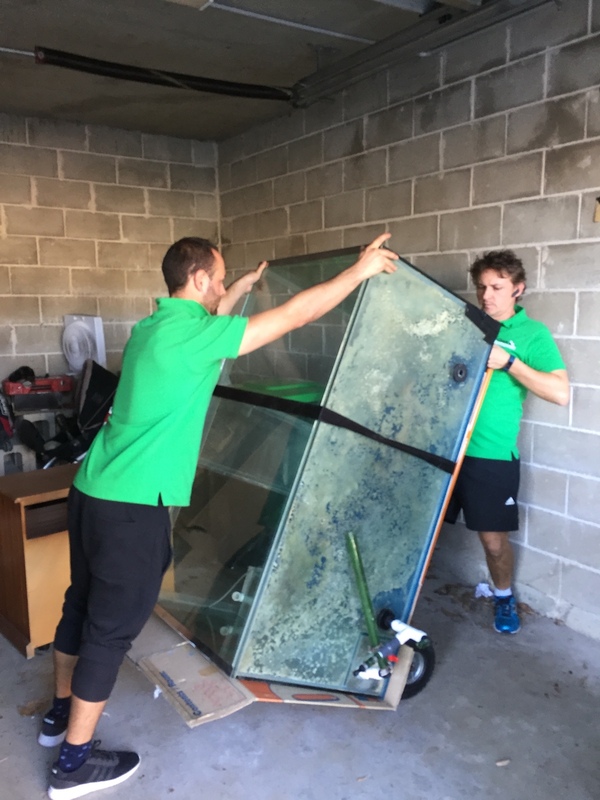 Chris the client was moving apartments from Coogee to West Pymble, but had not had any luck finding another moving company that was able move his fish tank. 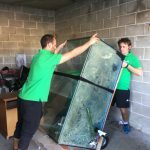 Our team have the knowledge to safely move large and awkward items. 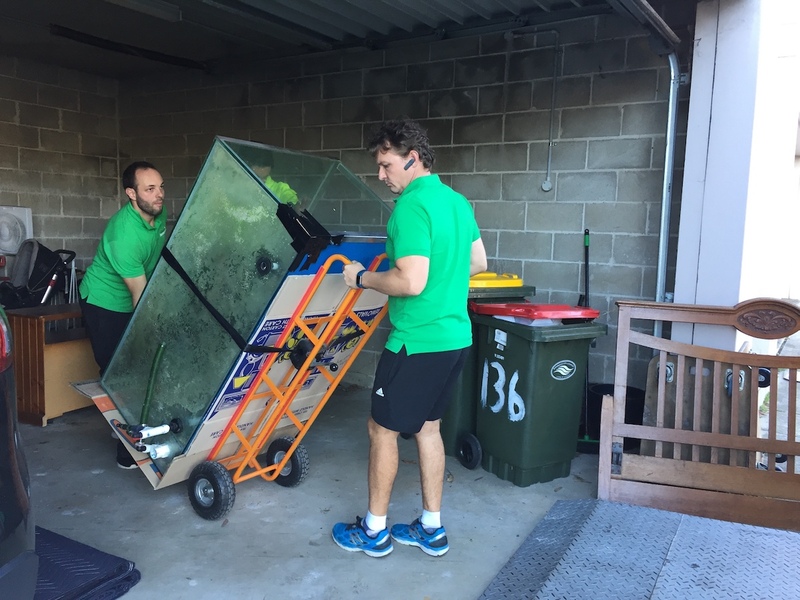 We also have the required equipment such as skates, dollies and 1000 kilogram lifting device on the back of one of our trucks. 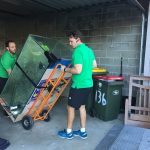 Our team arrived at 3 PM in the afternoon to help the client move all the items from his one-bedroom apartment over to West Pymble, the entire job took a couple hours. The boys formed a risk assessment and determine the safest way to loads the fish tank onto the dolly and truck. The fish tank was wrapped with required moving blankets and secured safely in the back of our truck. 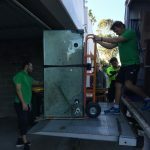 The other day we moved a 200 kg large spa from Coogee to Maroubra. Please call Clark for any move, small or large. Our team is lead by Zak who has 20 years hands on experience which money cannot buy.